Over the years I have learned a lot about social media, including the need to respect it. I am an Alumni of the University of Western with a degree in Media Information and technoculture, specializing in social media. I am also the current social media coordinator of the literary magazine, Minola Review, where I handle the Twitter account, expanding their presence online with the literary community. 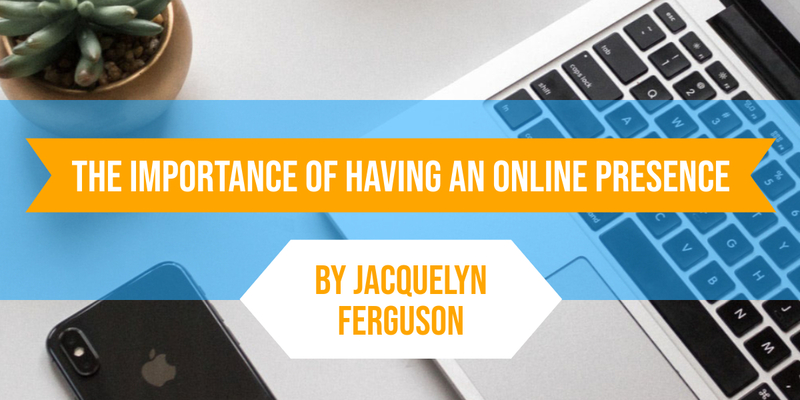 I know the theory behind creating an online presence, as well as the amount of effort and dedication that goes into having one that gets you noticed. Of course, I didn’t always respect social media. Before I started studying creative writing and publishing at Sheridan, I was trying my hand at making a career as a freelance artist. I spent a lot of my weekends heading to art conventions, a Comicon or two, meeting fellow artists, and networking face to face. It was a minor success. I made a decent amount each weekend, but not enough to make it a career; it was more of an expensive hobby. What I didn’t have that the successful artists had, those who were making a living off of creating art and selling their creations on the daily, was an online presence. I had an Instagram, a Facebook, but I never did much with either; they were not priority to me, as far as I was concerned the art would sell itself. Pretty naïve, I know. If anything, it’s just going to become more and more prominent, especially to potential employers. When I first started looking for a position in the field of my degree, and hoping to find a career within the creative industries, I found out pretty quickly that an online presence is important. To an employer it shows your passion for the field, and your ability to connect with the community. I didn’t have much of a presence online because it initially scared me. I didn’t want to get into trouble for something I posted or said online; I considered my life was my business and I didn’t want to share it. What I didn’t realize is that I didn’t have to post things about my personal life online, I could keep it strictly business. On the off chance, that I did feel the need to share personal tidbits about my life, with say friends and family, I could create a separate account that is kept private. I signed up for Twitter for the first-time last year, after one of my first classes at Sheridan and a professor was talking about the ins and outs of the publishing industry. He didn’t exactly say outright that you needed an online presence, but it was heavily implied; get online, start interacting with the literary community, and network. I don’t know if it was a coincidence or not, but no sooner did I make that Twitter account, I found myself standing in front of the Editor-In-Chief of the literary magazine Minola Review, Robin Richardson, at the literary festival Word on the Street. We got to talking about my interest in the publishing industry, my knowledge of social media, and she offered me an opportunity to work with her on the magazine handling her Twitter account. Back in January, at the beginning of my second semester, I earned the opportunity to be a Research Assistant and participate in the creation of the TENT lesson plans in collaboration with Fringe, the need for a presence online became even more apparent. I was set with the task of researching into what it takes to Market, Brand, and Fund a theatre start-up and a show. The most consistent piece of advice I found, especially if you want to be an entrepreneur in the creative industries, was how important it is to have a following on social media. You can’t market something through word of mouth as effectively as you can online; it’s faster and has the opportunity to reach more people. It also helps with funding; online campaigns bring in way more than any bake sale and your following are the first to see it. You can also target your audience, interact, and network with the people in your field of interest. That being said, marketing yourself as a brand is just as important as marketing a company’s brand. Potential employers, as well as the community you want to be apart of are seeing your social media first and foremost before they get the opportunity to see you in person, and we all know first impressions count, it is important that you make it a good one. After agreeing to running Minola’s twitter account I knew people were going to be checking out my personal accounts, and I needed to make sure I was showing a strong personal brand as someone interested and invested in the publishing industry. I relaunched my Facebook page and my Instagram account and rebranded both towards the publishing industry. I started following people I knew who were already making it in the industry or wanted to be in the industry. I even spent a week creating an online portfolio and personal website because an online portfolio and resume is consistently being requested by potential employers. This is something I encourage anyone who wants to break into the creative industries to do and if you can, make sure to buy your full name as your domain as in: myfullname.com; your name is your brand, and every opportunity to get it out there counts. So, if you haven’t already, get yourself online: create a personal website, portfolio, and online resume; sign up for every social media platform you can think of and start getting your name out there, and while you’re at it, expand your network by giving us a follow and we’ll follow you back.